I’m just about wrapped up for the Fall Semester at Carnegie Mellon. Lots of work to complete before I go home, so for now all I’ve really got is link that you, my good reader, might enjoy. Here’s a link to an image blog dedicated to the appreciation of the 4 color process of comics and the striking images that this analogue process creates combined with the artistic visions of the cartoonists who put them down into ink. Here, Half-Man Half Static waxes a bit of poetic on the allure and power of these images. The regularly updated blog is found here. Additionally, here’s Supertype, Half Man Half Static’s solid little collection of high resolution titles from comic book covers. I see it as a good potential resource for lettering inspiration. I’ve been drawing a bunch recently, but no story pictures. Sorry y’all, I’m too busy for that right now. Here’s a preview of what you can check out at 4CP. 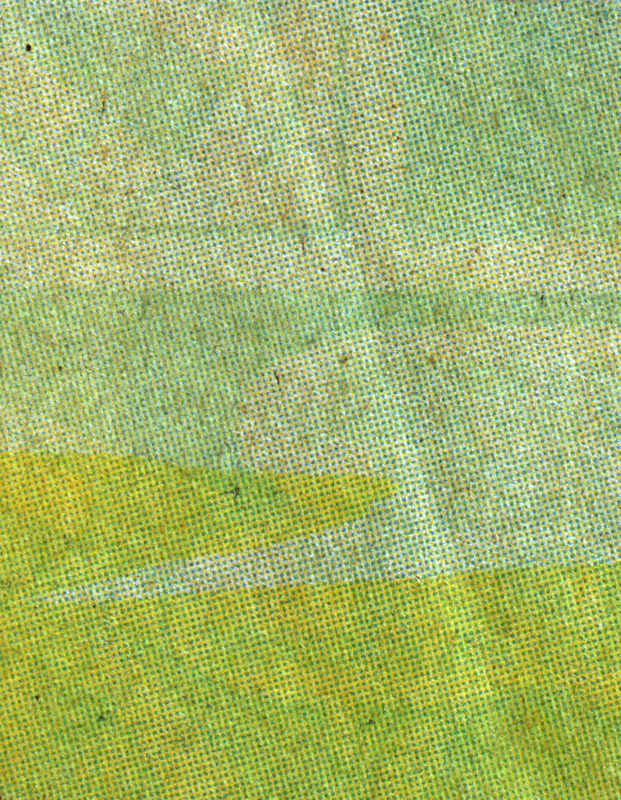 The mossy green on the top two-thirds of this image is a single, uniform, printed color. The darker areas and ghostly gutters and speech balloon come from the opposite side of the paper. When you’re on the lefthand page of a comic, this is the palimpsest effect; if you’re on the righthand page, it’s foreshadowing.